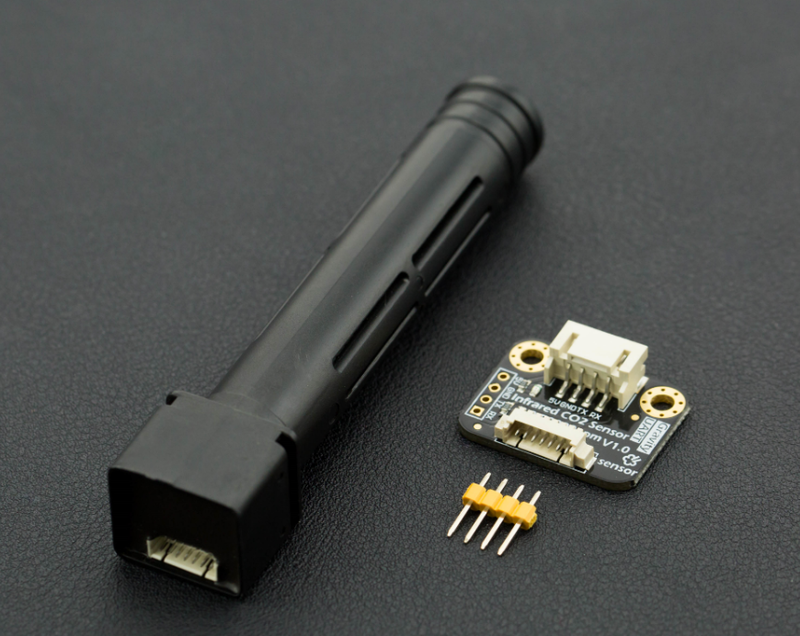 DFRobot released its latest wide range infrared CO2 sensor, which effective range is up to 0~50000ppm. This sensor is based on non-dispersive infrared (NDIR) technology and has good selectivity and oxygen-free dependency. It integrates temperature compensation and support UART communication mode. Most importantly, the product is easy to use; it is compatible with all types of microcontrollers with UART port, like Arduino, Raspberry Pi and other microcontrollers. Besides, it has a long service life, up to 5 years! In addition, this UART Infrared CO2 Sensor is a high-performance sensor that combines technology of mature infrared absorption gas detection with precision optical circuit design as well as sophisticated circuit design. It has characteristics such as wide range detection, high sensitivity, high resolution, low power consumption, fast response, anti-water vapor interference, no poisoning, high stability and long life. It can be widely used in HVAC refrigeration and indoor air quality monitoring, industrial process and safety monitoring, agricultural and animal husbandry production process monitoring, etc.. Need 5V power supply, even you are using a 3.3V microcontroller, like Genuino 101/ Raspberry Pi or anything else. 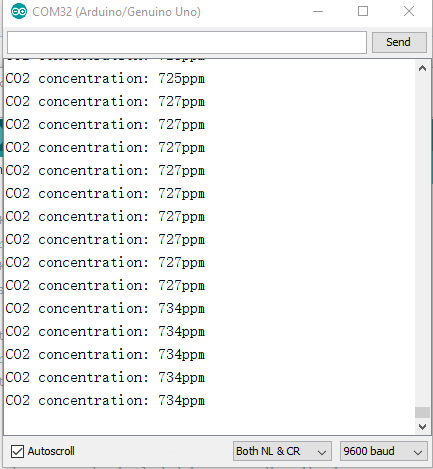 Upload the code to Arduino Uno, open the serial monitor to check the CO2 concentration. NOTE: The CO2 concentration during the preheating time in the serial monitor is not accurate, just ignore the result in the first 3 minutes (Preheating Time). Arduino IDE Click to Download Arduino IDE from Arduino. Q I found the output data is always cyclic variation. Why? A Yes, this is normal for the infrared CO2 sensor, It is using NDIR optical detection principle, the value will be hyperactive. But the finial result is still in the precision range. You can use some filtering algorithm to read the average value. 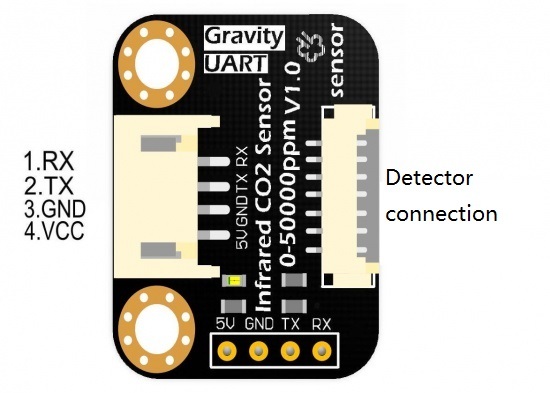 Get Gravity: UART Infrared CO2 Sensor (0-50000ppm) from DFRobot Store or DFRobot Distributor.